Found a Dead Barn Owl? With the increasing hours of darkness as winter approaches, Barn Owl sightings increase and occasionally people come across dead Barn Owls. What should you do? 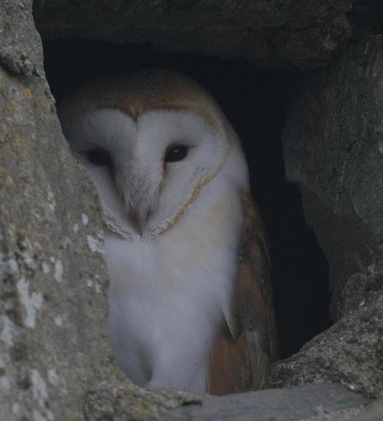 Scientists at the Centre for Ecology and Hydrology(CEH) have been monitoring the levels of pollutants, including pesticides and industrial contaminants, in predatory birds like Barn Owl for over forty years through a scheme called Predatory Bird Monitoring Scheme (PBMS). The PBMS relies on members of the public sending in any predatory bird carcases they find. Anyone who finds a dead Barn Owl or indeed any bird of prey should initially contact Lee Walker on telephone number 01524 595830 or by email on; leew@cch.ac.uk . PBMS will then send you out a submission pack that will allow you to post the bird back to PBMS free of charge. A post mortem examination is carried out on every bird received, the results are sent back to you and PBMS retain tissues in their archive for their monitoring programme and future studies. When picking up a carcase ensure that it is safe for you to do so - especially if it is beside a road. It is a good idea to minimise skin contact with the carcase. Use an inverted plastic bag to pick the bird up and always wash your hands thoroughly with soap and water after handling a carcase.